This article is 295 days old. Colchester Beach will be a lot more accessible this summer after new Mobi Mats were installed. 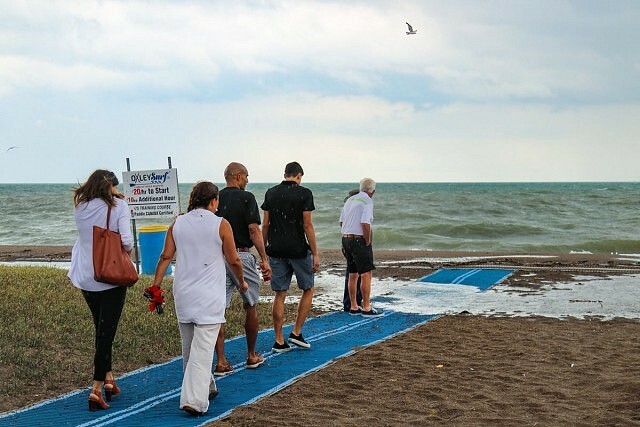 The Mobi Mats are rollout semi-rigid surfaces designed to provide beach access for wheelchairs, strollers, and pedestrians with mobility issues. The addition of Mobi Mats was made possible thanks to a donation from the Watsa family, in memory of David Watsa. David was a long-time and dedicated member of the Colchester Harbour Committee.